In May 2016, the Greek Ministry of Education announced that ca. 2,500 civil servants, who had been employed although they lacked the necessary requirements — they had submitted forged degrees or degrees granted by non-authorized institutions — would have the possibility to retain their positions by submitting themselves to an examination. The outcry was great, until it turned out that this measure had already been voted in 2007 by the then conservative government. During the discussion of this issue, the major political powers, both left and right, gave priority to the interest of these people retaining their jobs. No attention was paid either to another 2,500 qualified people who should have been in these positions or to the elementary interest of the Greek state to be served by qualified and honest civil servants. This incident is paradigmatic for the situation in the Greek public sector. For decades, a significant number of public servants owed their position to patronage, nepotism, party support, or fraud. The lack of meritocracy not only creates a state apparatus that is inefficient and unproductive, it also leads many of Greece’s most creative and competent minds to the diaspora. It has often been pointed out that fiscal measures alone will not solve the Greek crisis and will not lead to sustainable growth, if they are not accompanied by profound structural reforms. However, little progress can be registered in this front. A couple of millennia ago, an ingenious Greek said, “Give me a place to stand, and I will move the earth”. Until now, those who try to implement reforms that may lead Greece out of its crisis have been standing in Greece. But there, the very structures that need to be reformed continually undermine the efforts for the creation of a state that can meet the challenges of the 21st century. That the words “modernizer’” (eksinchronistís) and “modernization” (eksinchronismós) are almost exclusively used with negative connotations in contemporary political discourse, does not permit a lot of optimism. The tools that have failed to work in the past will not work in the future either. For this reason, the proposal to exploit the potential of the diaspora Greeks for the reform of the Greek state is an original approach that needs serious consideration. Such a proposal can only work with financial support by the EU. An important issue is not to give monetary incentives to diaspora Greeks to accept tasks in the reform process — i.e. higher salaries than those currently paid in Greece — but to provide them with securities that if they fail they will be able to return to their former position within a reasonable period of time. Higher salaries would enhance a feeling of inequality. The risk of failure is significant. The historical experience of the 19th century, when tensions arose between the Greeks of the then Greek state and the diaspora Greeks because of different experiences and perspective, should be considered. More importantly, such a measure should also be accompanied by a reform of the Greek election law that would allow diaspora Greeks who hold a Greek passport to be represented in the Greek parliament. This would strengthen the links of the diaspora Greeks, especially the ca. 500,000 young Greeks who left Greece in the last seven years, with their country. 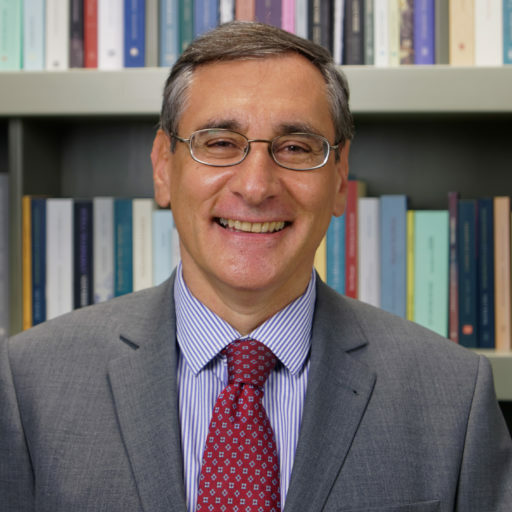 SUGGESTED CITATION Chaniotis, Angelos: The Greek Diaspora and the Reform of the Greek State, VerfBlog, 2017/3/09, https://verfassungsblog.de/the-greek-diaspora-and-the-reform-of-the-greek-state/, DOI: http://dx.doi.org/10.17176/20170309-162010.